Storage Max is all you need for the best in East Texas moving and self-storage! We are equipped with an array of different sized storage spaces to meet the requirements for the care and containment of your belongings. As we expand to offer more of our well-maintained, pest-free, and air conditioned storage rooms for your personal storage items and recreational belongings, we remain committed to professional service and personal attention. Looking for storage facilities in Tyler, TX? Look no further. We provide a convenient solution for personal storage space as well as for all of your business storage needs. 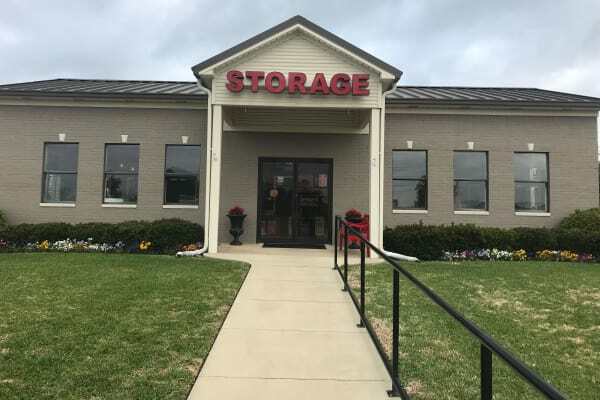 It’s our aim for our Storage Max Tyler facility to be your home-away-from-home for all those household storage items that clutter your thoughts and trip up your progress. We offer storage units of all sizes for long and short term storage at affordable storage rates. Our short term storage works well for seasonal mini storage units since it frees up your home or office from all of your clutter. You’ll find us just around the corner from you at 4911 Old Jacksonville Hwy on the south side of Tyler, and within easy reach of any Smith County home, office, or dorm. Rent air conditioned storage near your home or business for affordable storage rates. All of our storage solutions are here for what you need! Our facility is open and our storage facility professionals are available for consultation 6 days a week. You can access your belongings daily. We offer non-air conditioned and air conditioned storage units for business and personal storage. If you are looking for an extended amount of time to store items, we have the right long term options for your business, household storage or personal storage. Keep your household storage items organized with our affordable storage rooms! We employ state-of-the-art security measures to ensure the protection of your stored goods, and provide all these services at the best storage prices around – no deposit required for your self storage unit! You might even think you’re seeing a mirage, with our cold bottle of water, hot cup of coffee, and smiling storage expert all on hand to greet you and even accept your business deliveries. All sizes are available short term storage leases. We have the storage solution for you! Here in the “Rose Capital of the World,” Storage Max Tyler is here to help you clean up your act so you actually have time to stop and smell the roses. Especially the yellow ones!